The perfect union of watchmaking and jewellery, this new timepiece from Graff shines the spotlight on a gyroscopic moon phase and a double-axis tourbillon, no less. 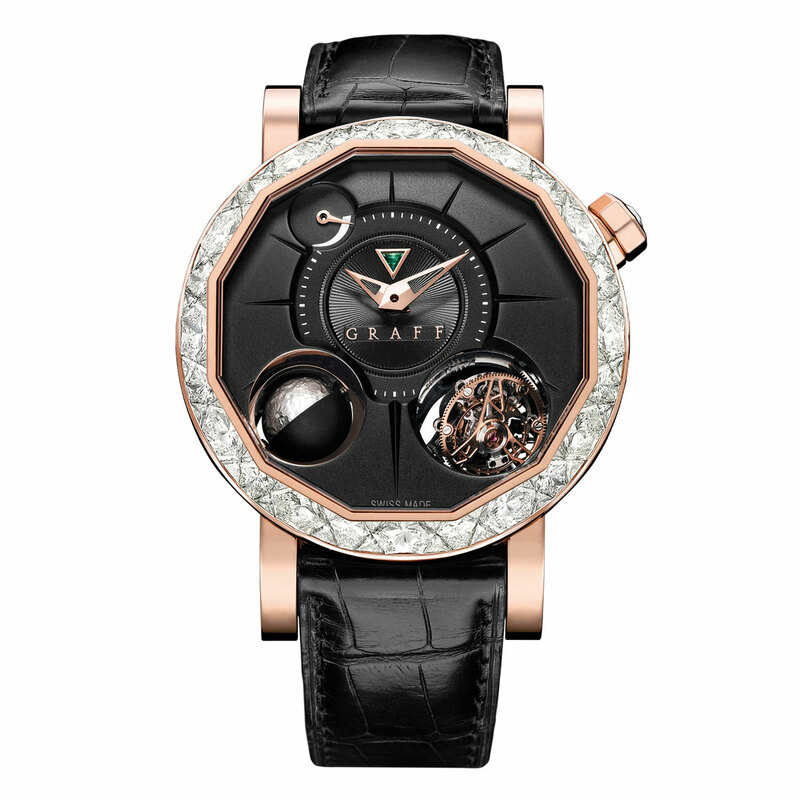 The bezel is embellished with a mosaic of diamonds in a stunning and patented invisible setting, the work of the jeweller's master craftsmen using a technique which took one year to perfect. This sculptural composition is formed by three rows of diamonds, with two triangular diamonds surrounding a hexagonal diamond. A triangular emerald lends the ultimate prestige to the guilloché dial, while another diamond adorns the crown at 2 o'clock. The Diamond GyroGraff is proposed in two iterations, in pink gold or in white gold, each a limited series of 20.